Floral Accents is an independently-owned floral design company specialising in bespoke wedding flowers and floral designs for functions and events. We are driven by a passion and love for flowers – and believe that all our customers deserve the very best. We have a fresh contemporary design ethos to ensure that we create flowers on-trend. The company itself was founded by Tanya Ferguson. 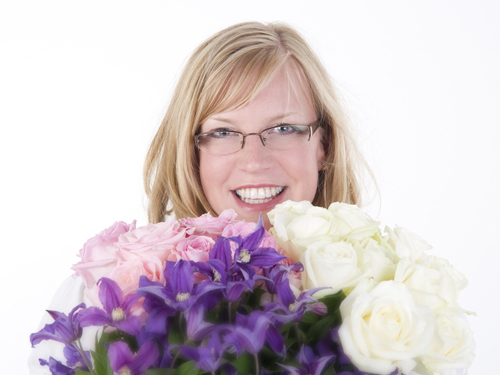 Tanya undertook her professional floristry qualifications at a prestigious flower school in Knightsbridge, owned by an internationally famous and well-respected floral designer. Having qualified, Tanya was lucky enough to undertake an internship at the timeless and elegant 5* Claridge’s Hotel in Mayfair in central London. It was here that she learnt her trade hands-on, working as part of the floristry team to design flowers for the public spaces of the hotel including the bar and restaurant areas, for private guest rooms, and for high profile functions and events. Tanya now freelances at Claridges in her spare time. At Floral Accents, we firmly believe in high quality flowers and foliage – and we insist on the best possible quality of produce. For this reason, we purchase all our flowers and foliage from a quality supplier based in the Netherlands. This ensures that all the flowers we use are at their freshest – they are bought in specifically to meet your individual requirements so you can be assured of their high quality. Feel free to browse around our site – and do of course get in touch if you think we might be able to help you or if you would like any further information.